First in quality, first in technology, first in EFI nitrous power adders! NX introduces the only progressive controller made for the boosted EFI enthusiast. Progressive nitrous delivery with dual stage capability and this unit is capable of variable, multi point, power application on both stages! Nitrous can be added or subtracted at 20 points on the progressive ramp and the smoothing option makes the application of power as smooth silk. Power ramps can be based on either boost or time reference, unit includes an internal window switch, an internal MAP sensor can handle over 100 lbs of boost and the extra heavy duty solenoid drivers can handle over 80 amps of continuous load! All of these fantastic features are packed into one small water proof unit! 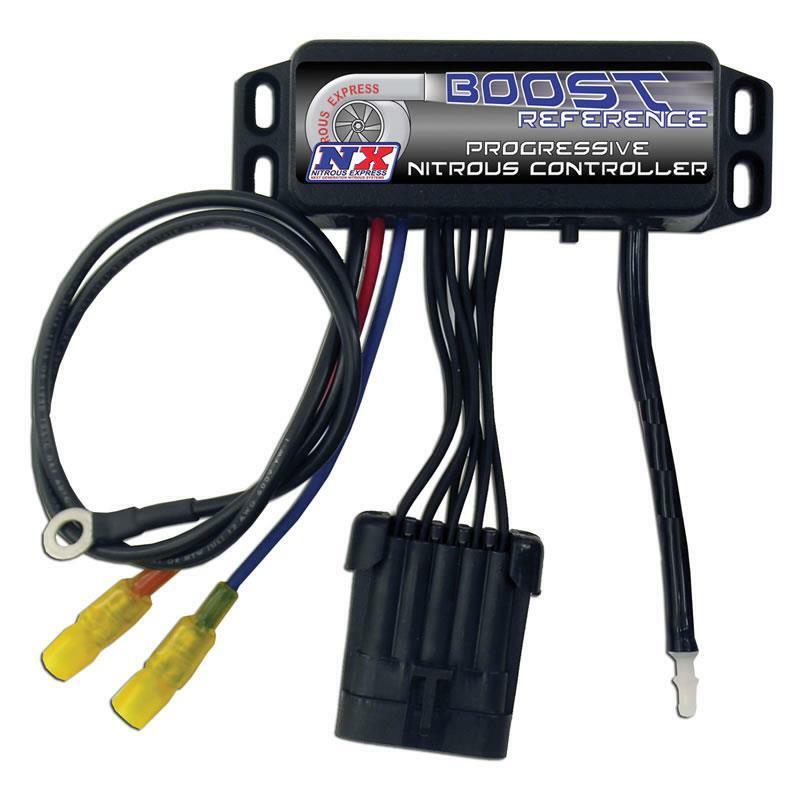 No more Hobbs switches, no more erratic torque curves, this nitrous controller gives the tuner a tool with infinite adjustability and rugged dependability!